I always thought that Wayne Rooney opted to leave the Premier League at too an early age. Now whether the striker believed that his prowess was on the wane, at top-flight level, or whether he decided that the MLS was his career swansong only the man himself knows. But, even though he’s playing at what we can honestly call a lower level, it appears that Rooney has lost none of his competitive edge. Playing for DC United against Lose Angeles, Rooney was obviously quite miffed at how his side were being beaten 3-0 and doing his utmost to turn the game around. Unfortunately, Rooney was to fall foul of VAR and received a straight red card. 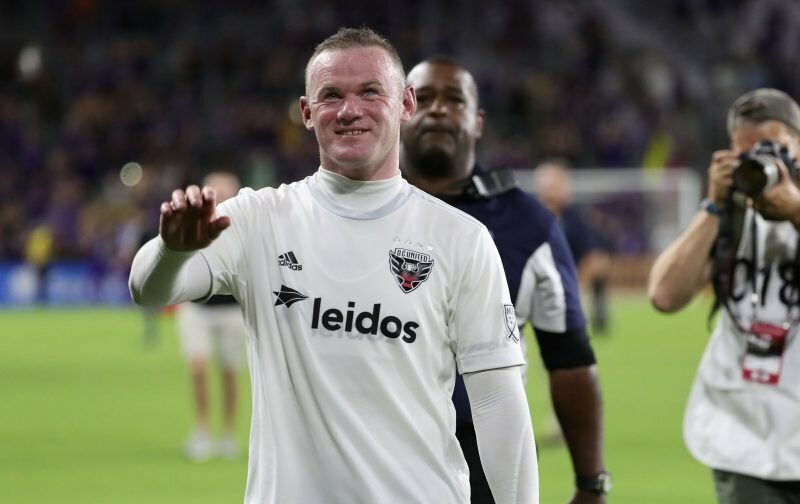 After catching the LA striker Diego Rossi with a wild two-footed lunge that caught the opposition player just below the knee, Rooney was shown a yellow card. However, when the decision was referred to VAR, the decision was changed to a straight red-card. DC United eventually lost 4-0, a demoralising defeat. As for the red card, it was the seventh of his career but the first he had received since being sent off for Manchester United, back in September 2014, against West Ham United. No doubt Coleen will have a word or two to say about Wayne’s latest indiscretion!